Wow, has it really been that long ??? I know you all miss me, and that’s OK, because I missed you guys too. It’s been a busy two weeks, with wrapping up the Miami trip, and working on a few side projects I haven’t had time to really sit down and give my blog the attention it deserves. I’m not all the way back up to speed yet; I’m in the process of working on some articles for Platform Nation, and fixing a few computers… so give me a few weeks, and I will be all yours again. I promise. I will talk about this one thing that bothered me last weekend. I happened to make my way out to the N. Florida Fairgrounds for the back to school drive that was happening out there. I was checking out all the booths and there was one that especially caught my eye. 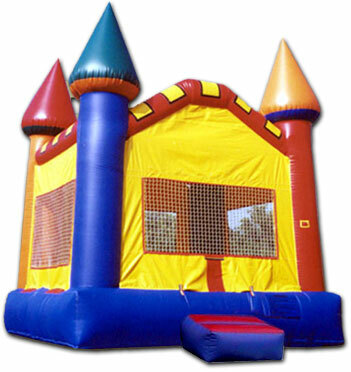 There was a row of inflatables and there was one that was an obstacle course. There were a bunch of kids lined up and running sprinting flying through these courses. However, these children are not the focus of today’s concern watch. No, today it is the PARENTS of these children who get my side-eye. 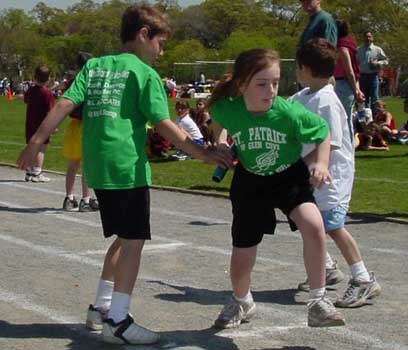 For some reason, these parents were under the impression this was the NFL combine. Now, i am all for some friendly competition, but those parents were on another level. It was like the parents were trying to relive their “glory days” through their kids, or worse, turn them into a meal ticket. From what I saw, there was NO prizes being given to the winner, no trophies, no promise of a College Scholarship NFL contract or endorsement deal. It was just regular fun. I won’t lie, there were some FAST kids out there, but that doesn’t justify the behavior of the parents. Sometimes, parents have to let the kids have “fun”. I was also concerned because there were parents out there who didn’t practice wisdom; if your child is of a certain height, weight, or size that doesn’t seem “appropriate” for the obstacle course… be a PARENT and let them know it isn’t for them. I cannot tell you how many times I saw children too big for the course struggle to get through the starting hole, or climb up the hills. Then there were the children too small to climb into the hole and were “boosted” in by their parents… THEN there were the kids who were too young, and started crying when they couldn’t overcome the obstacle. Then to make matters worse, there were parents who tried to force their kids into finishing the course regardless of the tears or physical incapability. I used to joke about this when I first moved to Florida in 2000. I would tell people that I was allergic to the State. Naturally, everyone laughed it off (like they always do) I did too for a little. I went to the Doctor yesterday for a check-up (gotta be a healthy blogmaster) and as I chatted with my Doctor, she thinks that I might be allergic to something in the air. This morning I woke up, sneezing, barely breathing. While at work, I almost went through an entire box of Kleenex. Do I care that your cousin is the Honey-Nut Cheerios Bee? NO, just help me BREATHE !!! 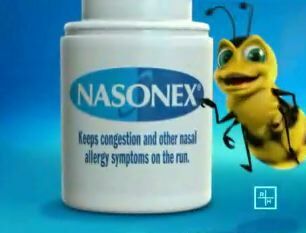 What are YOU allergic to ? let’s talk about it. So I was supposed to do this story around my birthday… There was even an elaborate plot and story I had for this occasion; but someone insisted on taking her time entering the world… kids. 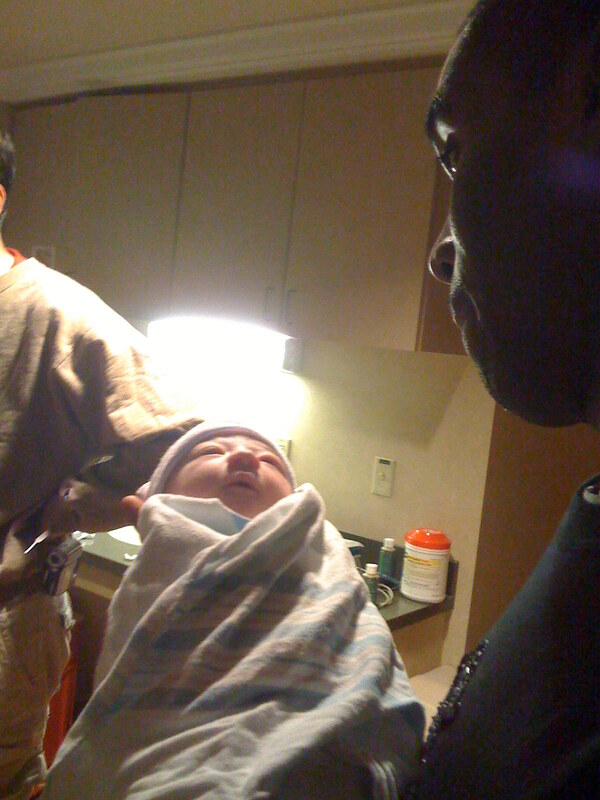 Well, a really good friend and avid reader of this blog gave birth to a beautiful baby girl @ 7:50 pm. I must say that we three kings 4 kings and queens had amazing timing. As we arrived at 7:53pm we hear the baby crying for the first time: Talk about great timing ! This baby, this baby right here? this baby has a great set of lungs! As we sit in the family waiting room, I’m hearing from one of the family members that the doctor walked in AFTER the baby was born… I wonder if the doctor still gets paid… probably. It’s 806 and we’re waiting on an official word from the medical team. It’s 823, the parents are good, mom is tired and needs real food… Jello, broth and juice? Seriously??? We are still waiting on medical staff for an official weigh in. 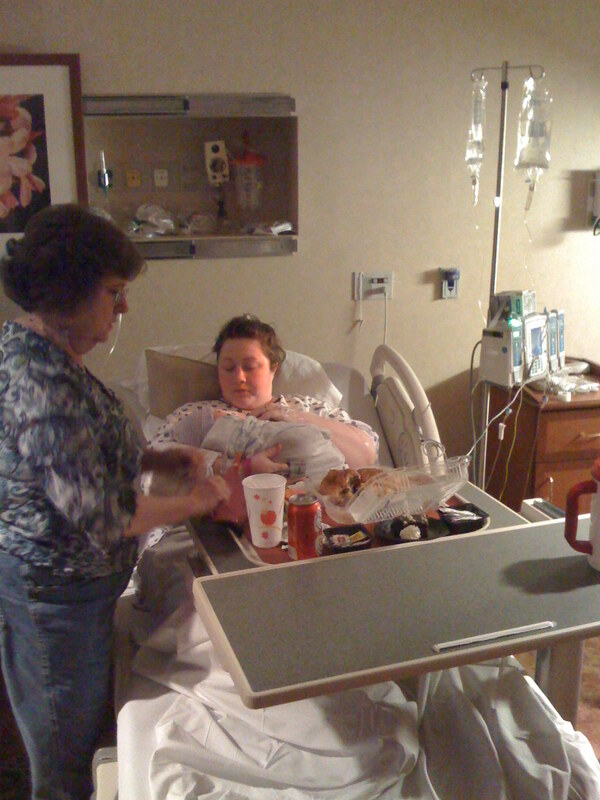 Mom gets her food minutes later everything she requested… Cheese burger and all. The baby is already giving mom the side-eye for her cheese burger… Kids. Mother and Child together for their first meal. As I stood their watching this miracle of life I noticed something: The Grand-Parents are unbelievably selfish… They all seem pretty territorial, trying to decide who holds the baby, and forcing poses and multiple pictures… Be careful new parents; I smell treachery afoot with the old regime. Quit pestering the new parents ! They’ve been through quite a bit today… let them enjoy their day. You only get one “first birth” I understand everyone is excited by the new birth; and their “first birth” might not have been as nice… but that doesn’t give you the right to try to rain on their parade. That’s all I say about that. 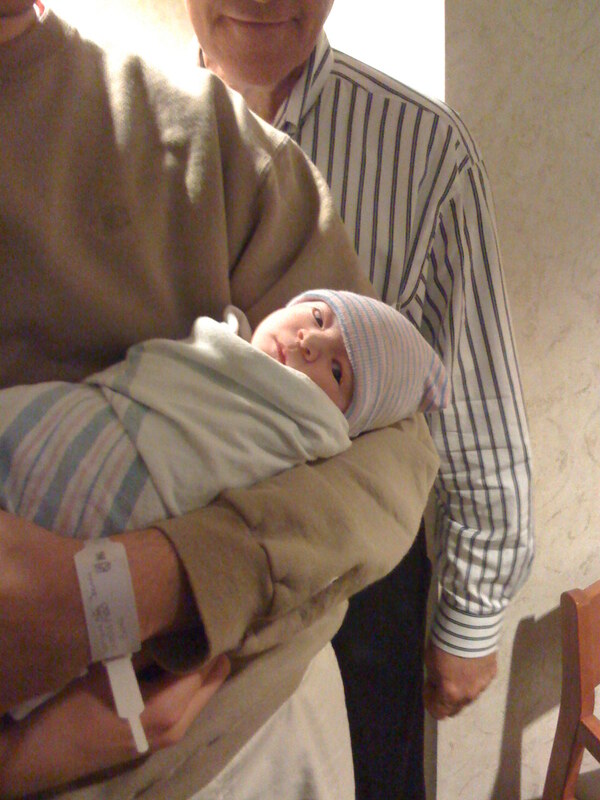 The baby's first recorded "Side-Eye" after hearing enough from the grandparents. So the fairy dog-mother and Mrs blogmaster got to hold the baby… No one thought to pass the baby to me OR to the fairy dog-father… why? 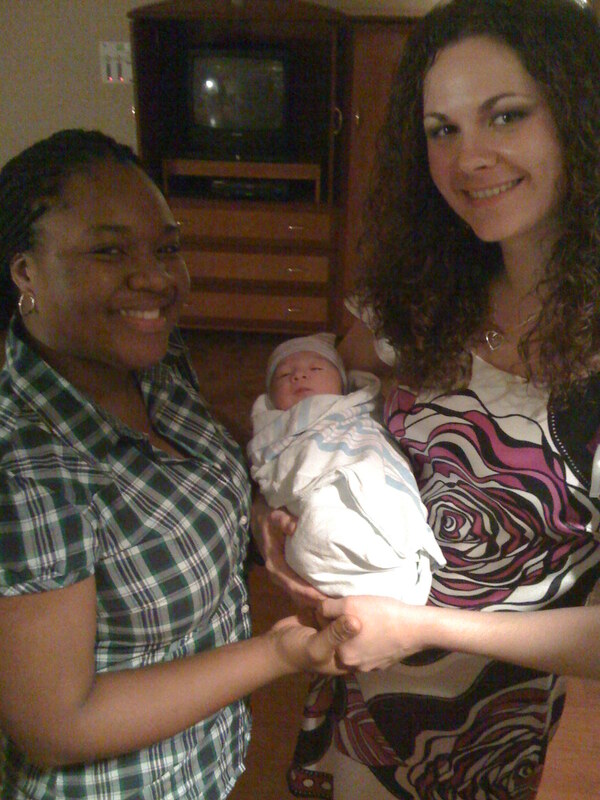 Did it occur to anyone that maybe I wanted to hold the baby? Is it because I’m a guy ??? The phone conversations and interviews start at 9pm…. 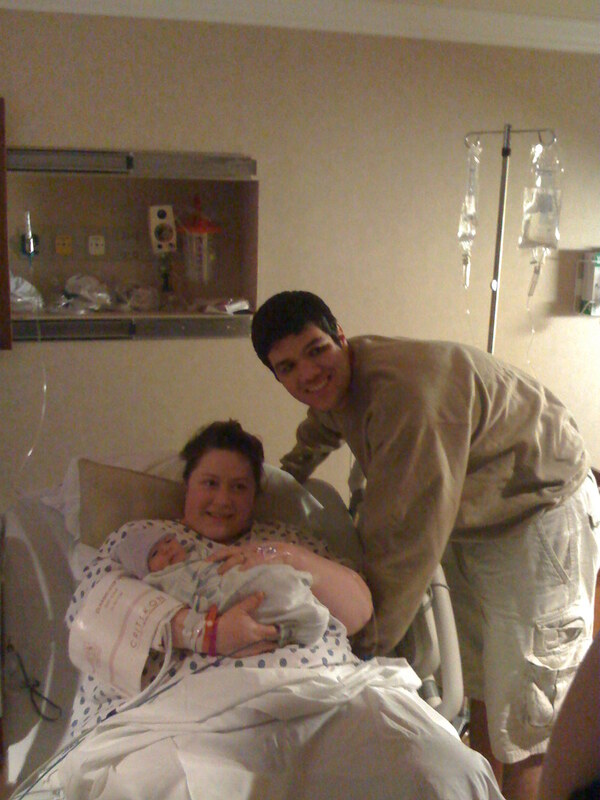 I was finally able to get a chance to hold the beautiful baby girl who weighs in at 7lbs 5oz. and is 20.5″. First picture of the happy family. 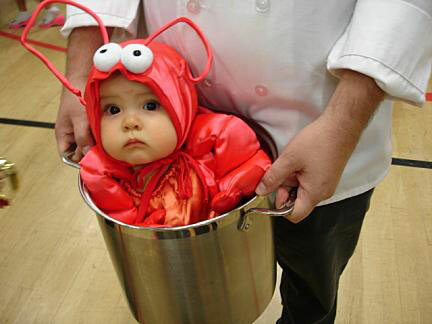 I managed to look into the baby’s eyes and promised her a Steak and Lobster dinner when she turned 5, and everyone laughed; they’ll learn. I was able to do a little self-reflecting. It made me realize that even though I helped raised eight siblings, there’s nothing like having your own bundle of joy for that first time in your arms. In a few years, that’s gonna be Mrs. Blogmaster and I looking exhausted and happy and telling our parents to stop trying to take credit for our kid “We didn’t have a baby, I had a baby” truer words never spoken new mom. 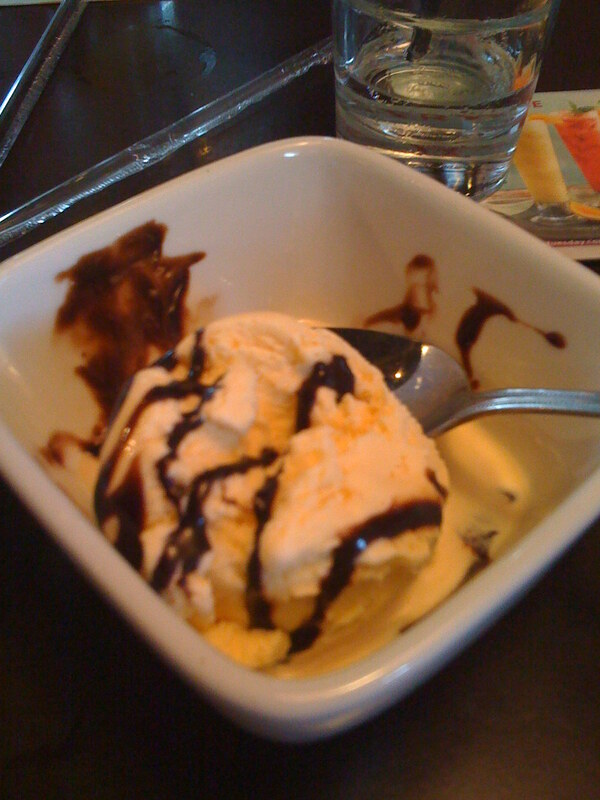 Today, at the office it was decided we would celebrate the May birthday’s at Ruby Tuesday’s. I was happy at first, but then I was like “wait, I don’t have any money for food” and one of the “bosses” told me that I wouldn’t have to pay for my dinner; I then jumped for joy and quickly replied “I guess I shall have the Lobster then !” they all started laughing. Their mistake. I came into the office this morning, and I had to check in with my boss to let her know my plans for today. I let her know I intended on having Lobster today. She laughed also; her mistake. They “decided” that they were going to have the 3 girls drive with my boss, and I would drive with the other 3 bosses… I was NOT going along with that, so I quickly spoke up and told them how we planned on driving together, and how much more sense it would make our way. The boss with the bad news saw the logic, and everyone was happy. As we pulled up, my Fairy Dogmother got a call, it was from her boss asking where were we and if we got stuck in traffic; we were in the parking lot at the time of this call. Overprotective much ??? We get inside, and we’re seated; we look through the menu, and as soon as I open the menu, I was greeted by my lunch for the day. There it was; Lobster Tails and Steak calling me, begging me to choose this plate as my birthday meal. I did feel guilty about it because of the price, but I DID say I was going to get Lobster, and no one objected; their silence meant approval in my book. “The Cool Girls” also agreed and insisted I get the meal for the sheer comedy of it all. 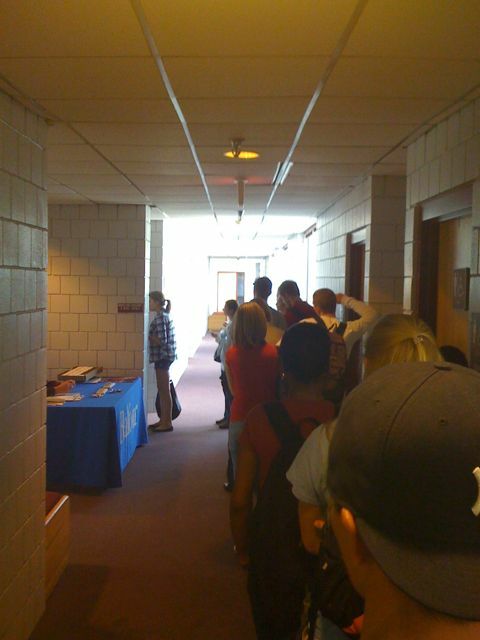 I mean, a “free lunch” is a free lunch, right? My lunch took the last to arrive out of everyone who was at the event; I told people it was because they were still trying to catch the Lobsters, they all laughed; little did they know how true that statement was. This was the plate that was set before me finally; I know people were watching, and there might have been a case or two of the “Jealousy Virus” but that’s OK, because I had my shots before I left the office. The “Scout Boss” came over to explain how our meals would be paid for; I continued to eat as I felt her eyes burn holes into my plate. 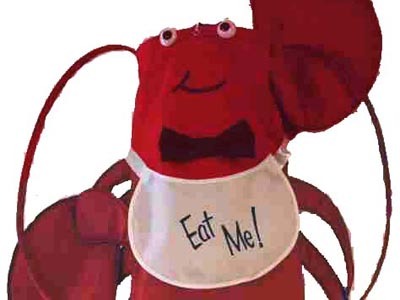 We also knew that she would report back to the other bosses as soon as she got back; and sure enough, she reported back, and I was told that 8 eyes gazed upon me as I enjoyed the lobster tail. 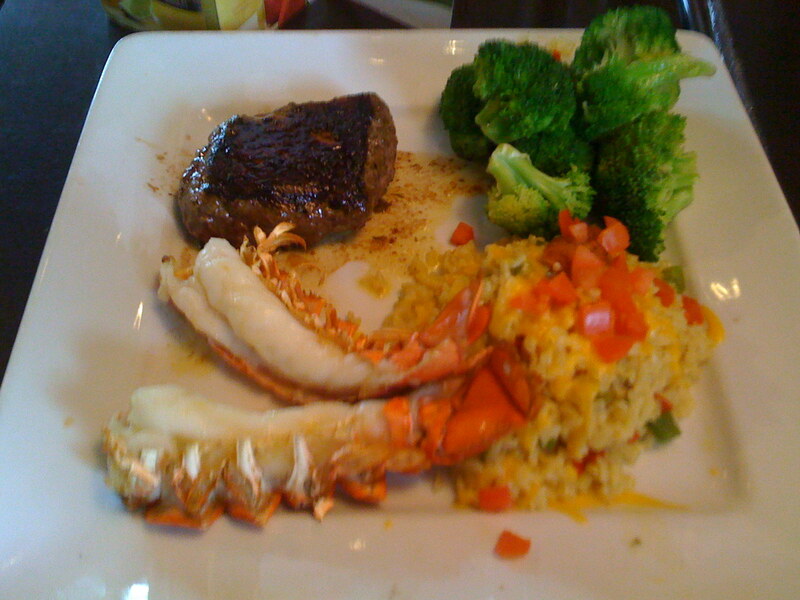 The steak was good too, but that LOBSTER TAIL ??? yeah, that much better. Other than that, it was a great day, We got back and my shift was over in 30 minutes; 20 of them were taken up by amazing cake. It was here that I first heard about “Coke Cake”. now when I first heard Coke Cake from my boss I was a little shocked she would know about that. As the conversation went on I realized they were talking about the OTHER kind of Coke. Yup, I was slightly embarrassed, but laughed it off. I want to apologize to all my readers for taking so long with this story. I originally planned on doing this at 4, but that “itis” got me REAL good… I didn’t officially wake up until 5. I decided since I had some newly acquired spare time, I would go ahead and check out this place to see what all the fuss was about. The next day, I actually went out and did some Sight Seeing. I went to a Museum, and took pictures of the wildlife and other. I went ahead and added a photo gallery of all the good shots I took around town. there are mini stories with some of them when you click that specific picture. Enjoy. He was the fastest turtle ever. There is Racism afoot !!! Finally, I would like to say that I am aware that I did not cover all of Jacksonville. It took close to 3o minutes to get anywhere, and I only had one day to check the city out; but from what I saw, It was nice. Nice enough to maybe move out there; naturally that depends on the economy and job market and all those other important adult things… I think I might need to do a couple more of these “discovery trips” to check out the rest of the state. Any suggestions on where I should visit next? As of now, it seems like everything is in order for Graduation. My NY family is working on getting plane tickets and such. My FL family is just about ready to arrive. I am still pretty anxious. My heartbeat has been an extra 10 beats per minute, and my stomach isn’t quite sure if it likes food any more not. The food stays down, it’s a matter of convincing my stomach I’m actually hungry. I would like to take you on a special edition of Mobile Moment: the Graduation edition. In these final two weeks, as mobile moments dealing with graduation arrive, I will place this special “tag” on it. Enjoy. It’s 2: 37 , and Just like that, I know have my Cap & Gown, well on my way to graduation which is 2 weeks away. 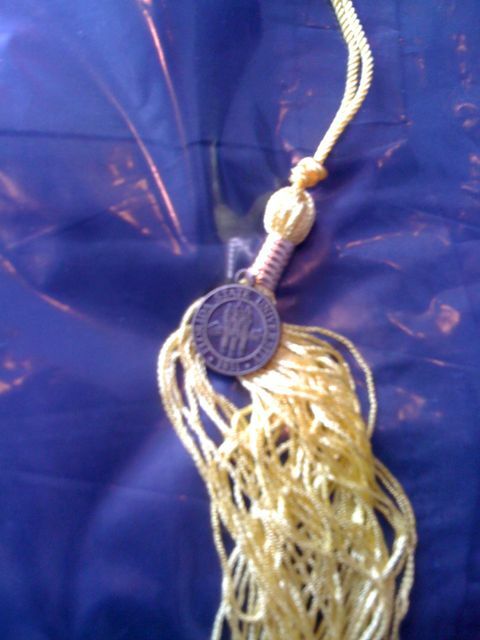 the Gown is black, it just looks blue, and I'm happy the tassel isn't pink !!! You are currently browsing the archives for the mobile moments category.